I will be your ‘strong woman’, there for you, come what may. Midwives and doctors may come and go according to their shifts, but I will be there for as long as it takes. From the start of your due period, I will be on call for you 24 hours a day, seven days a week. You can ring or message me at any time, for advice or reassurance. I will be ready at a moment’s notice to drive to you when you are in labour – a fully charged phone by my side, my car filled with petrol and my birth basket on the back seat. When you call or text me asking me to come to support you in your labour, I will be so thrilled! I am confident using a variety of labour & birthing techniques. These include visualisation, affirmations, hypnobirthing, aromatherapy, acupressure, homeopathy, massage, rebozo, & optimal foetal positioning. I am practised at using comfort measures to support you, including counter-pressure, vocalising and keeping you nourished and hydrated. I work hard to keep you as relaxed as possible. I am a birth doula of requirement, adapting to changing circumstances like a chameleon. If you are managing beautifully, then I will simply protect your birth space, ensuring that the lights are kept low and everyone continues to treat you like a Goddess! I shall witness you, unobtrusively and lovingly, in your birthing power. I will probably knit. Equally if you need more support, then I will be there with you, during every single surge, massaging you and whispering soft words of encouragement. Whatever is wanted and needed. lI will do my utmost to ensure that your birth preferences are adhered to and that you are not rushed or coerced into making decisions. 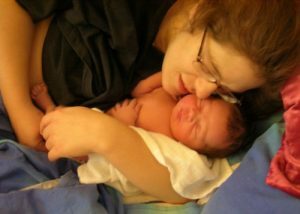 I take a humble approach to being a doula, keying in to the original meaning of ‘doula’ which is ‘servant’. I see what needs to be done, from making cups of tea to reading stories to sleepy toddlers & filling/emptying birth pools. I have always had fantastic feedback from partners. I ensure that we discuss in advance exactly what support you want from me, in order to help you support the mother. My role usually involves shouldering some of the responsibilities to allow the partner to focus on the mother. In this way your parter can be fully present for the joyous experiences of labour and birth. I am happy to take on many of the practical tasks, such as fetching water & snacks and filling birth pools. I can mix massage oils, passing them to your partner and can take photographs of the two of you together, if required. I can help him or her remember your birth preferences. I am a sounding board and their ally in dealing with doctors and midwives. I work hard at keeping partners as relaxed as possible too, making sure they look after themselves and take comfort breaks. Read what Dad, Elliot Heburn-John has to say about the support he received from me here. Read what Dad, Wayne Sequoia says too. Many women like to be alone or just with their partner during early labour, so that they can get into their stride. Having anyone extra with you too early on can hinder labour progressing. However, some mothers want their doula to be with them in early labour and I am happy to provide this support if required. The hour after your baby is born, is a really important part of birth. This is the time you will birth your placenta, properly greet your baby and enjoy your first breastfeed. It is important that everyone stays soft and quiet, as your oxytocin will be peaking. This is nature’s plan to help you bond with your baby and get breastfeeding off to an excellent start. I will help to protect these special moments and can help your baby latch on, if help is needed. I will make you drinks and snacks and can help you have a bath or shower, if you like. I won’t leave until your baby is breastfeeding well and you are snuggled up skin-to-skin together, in bed.